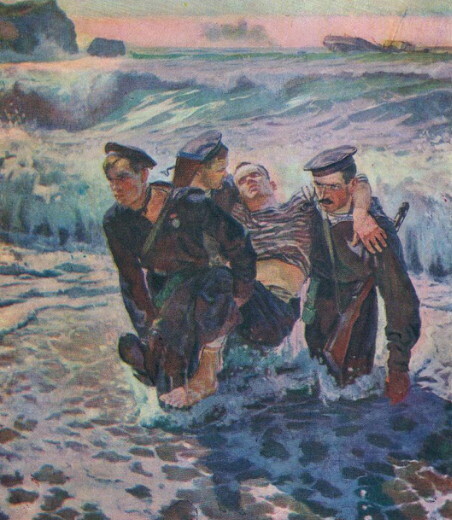 Shavykin, Dmitrii or Dmytro [Шавикін, Дмитрий or Дмитро; Šavykin, Dmitrij or Dmytro], b 3 April 1902 in Aleksandrov, Vladimir gubernia, Russia, d 29 March 1965 in Kyiv. Painter and graphic artist. 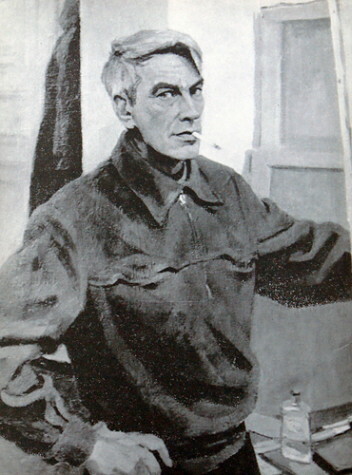 From 1915 he lived in Kyiv, where he studied at the Kyiv State Art Institute (1922–8) under Mykola Burachek, Fedir Krychevsky, and Lev Kramarenko. 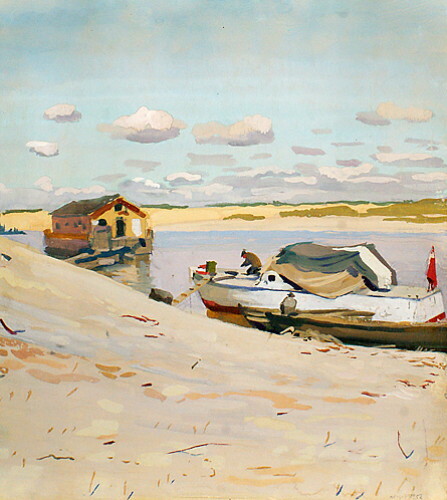 In 1927 he joined the Union of Contemporary Artists of Ukraine. 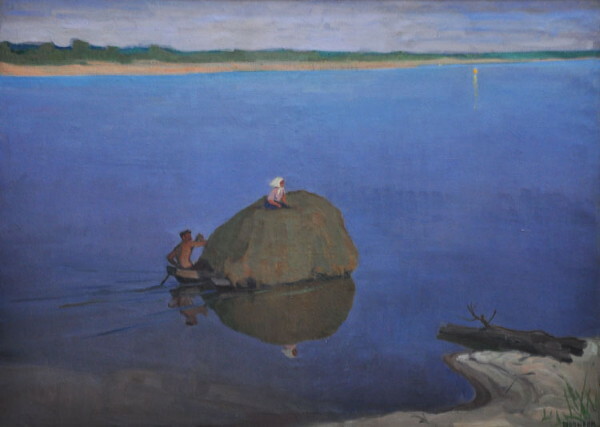 His series of Donbas landscapes (1931–4) and Evening on the Dnieper (1957) show expressionist influences. Mykhailo Boichuk’s influence is evident in Shavykin's murals at the Children’s Village in Kyiv (1924, destroyed) and the Kaniv Museum-Preserve (1940). He also painted portraits of writers, such as his wife, Natalia Zabila, and Leonid Pervomaisky, and created kilims, posters, and illustrations for children's magazines (Zhovtenia and Tuk-tuk) and books, including Zabila’s retelling of Tale of Ihor's Campaign (Slovo pro Ihoriv pokhid, 1940) and Andrii Holovko’s Maty (Mother, 1936). B. Lobanovsky’s book about him was published in Kyiv in 1962.